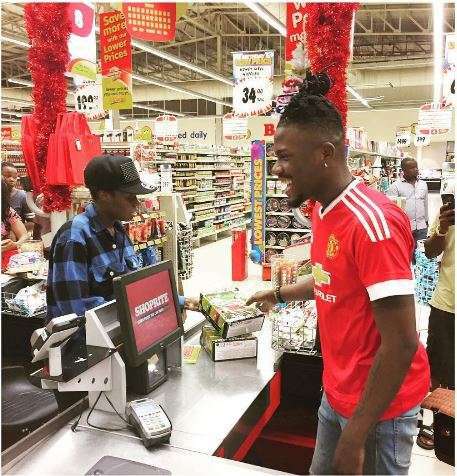 We came across this photo of Ycee working as a shop attendant and decided to share it with you all. The Omo Alhaji was spotted at Shoprite in Festac. Apparently it was his first day on the job and he was working the counter like a pro. "So I resumed work today and the manager has already commended my customer friendly skills! Feeling like employee of the month already"
Hope your day wasn't so stressful - have a good night #TFW #MAMAVOTE #BESTBREAKTHROUGHACT #YCEE," he captioned it. Well, on the plus side, if the music thing doesn't work out, he can always work as a customer care attendant.